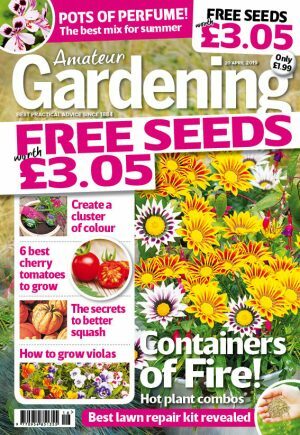 WIN a garden makeover worth £129! You could win a completely new garden design for a total makeover of the garden, from improved layout to a fresh planting design worth £129 courtesy of Plantify! Their designer will start with a blank canvas, creating a new garden design that might involve a change of the landscaping as well as a brand new planting scheme. You’ll receive a phone consultation to establish your garden’s design needs and style preferences and available budget to execute the design. Based on your requirements, Plantify’s designers will remotely prepare a personalised garden design with a colour scheme and planting plan, a beautiful A2 size print out of which will be posted to you. You will then receive a 10% discount on any plants you’d like to purchase to bring your design to life. One runner up will also receive an instant makeover, worth £39; this work will include the re-designing of a single border in a focal area of the garden or front of the house. Their designer will work with you to develop a theme to transform a single border into a true eye catcher. You will also receive a 5% discount on any plants you’d like to purchase directly. To enter, all you need to do is email your name, contact number and address to agcomps@ipcmedia.com. No correspondence will be entered into and entry implies acceptance of the rules as final and legally binding. Employees of IPC Media, Plantify and their relatives are not eligible for entry.